The Tequila Regulatory Council (TRC) is threatening to sue Dutch brewer Heineken over its use of the word ‘Tequila’ in its Tequila-flavoured Desperados beer brand. The TRC, a trade group of Mexican Tequila producers, claim that the beer is in violation of its DO rules, which state that to use the word ‘Tequila’ a beverage must contain a significant quantity of the spirit. Desperados is a beer flavoured with Tequila and lemon and aged in Tequila barrels, however the TRC claim tests carried out in Madrid prove that it doesn’t actually contain any Tequila and therefore does not qualify to claim use of the name. The council has been preparing a case against Heineken’s Desperados brand for the past 10 year but haven’t had the funds to pursue it, until now. 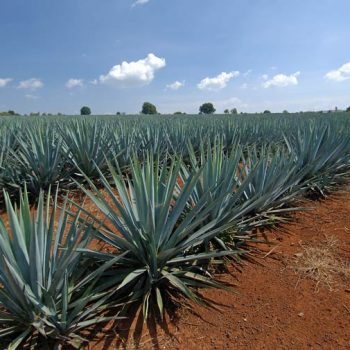 “We cannot permit someone unscrupulously to affect Tequila’s prestige,” Ramón González, CRT director-general said speaking to the Financial Times. “Either they take the word Tequila off it, or they put some Tequila in.” If they refuse, “we’ll have no choice but to fight this [in court]”. It comes shortly after the sale of George Clooney’s Tequila brand Casamigos to Diageo for $1 billion, signalling the category’s continued move upmarket. Further highlighting its growing success, in February José Cuervo, the world’s biggest Tequila producer, raised more than $900m through an IPO. 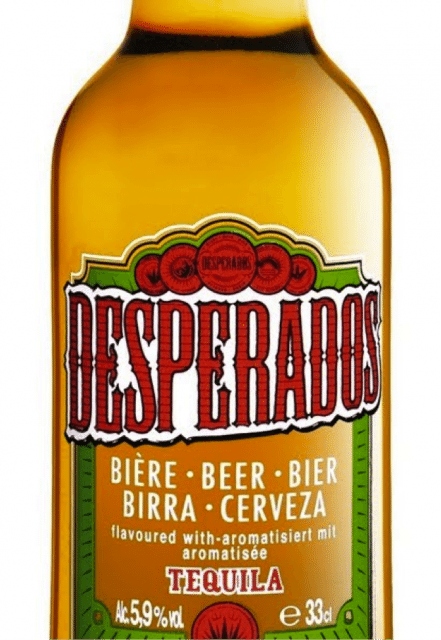 Desperados is a beer flavoured with Tequila and lemon and aged in Tequila barrels. Responding to the threat of legal action, Heineken maintained that it complies with all regulations and labelling requirements, noting its Desperados beer, which was launched two decades ago, is flavoured with genuine Tequila sourced from Mexico. “The flavoring we use contains genuine Tequila which we buy in Mexico from one of the members of the [Tequila Regulatory Council],” the Dutch brewer said in a statement. Heineken describes Desperados as an “iconic lifestyle brand for the global millennial generation”, and says it is a brand that “rewrote the rules” by daring to brew beer with Tequila. Tequila is protected by a designation of origin and can only be made from Blue Weber agave from Jalisco in Mexico. In the UK sales of Tequila have surged in the past two years by £46 million, rising by 37% to £173m in 2016, according to the Wine and Spirit Trade Association (WSTA), on the back of premium offerings and the increasing popularity of sipping Tequilas. Globally, Tequila consumption has grown by 6% in the past year, according to data from Euromonitor. The TRC has given Heineken until the end of the month to stop labelling its bottles with the world “tequila”, after which it says it will take legal action.